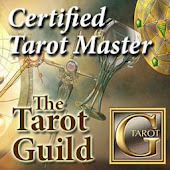 Welcome to the website of Radio Host, Writer, Certified Tarot Master, Certified Angel Card Reader(TM), and Certified Realm Reader(TM) "Tarot Dactyl." Check out the links on "Tarot Dactyl's Favorite Resources" for great tarot and metaphysical resources. If you have one that has helped you and that is not listed, let me know. Sharing is encouraged and comments are always welcome. Come back often or just subscribe to explore along with me what the cards have to offer and for more great links added as I discover them. To check out the Tarot and oracle decks I work with, check out my lists of favorite tarot and oracles decks on the left side of the page. I offer options when it comes to booking readings with me. If you prefer booking a reading thru Keen.com, click on one of my Keen buttons on the left side of this page. If I'm not currently taking calls, you can always arrange a time with me. If you would prefer to set up a Skype reading with me, or if you'd just like to get in touch to talk Tarot, Angels or Crystals, you can always email me at mary@tarotdactyl.net. I'd love to hear from you! I had the wonderful honor last night of reading with Tarot Grandmaster Christiana Gaudet on her show, Christiana's Psychic Cafe, on PEN (Paraencountersnetwork.com)! Mercury in Retrograde was affecting the tech side a bit, but I had such a great time tag-team Tarot reading with Christiana. We had some great calls and even a few questions from the chat room! If you missed it, check out the video! There's A Rock For That! What do you see and what sees you? If you like what you see, hear and feel, you can pay it forward here to keep it going. • I recognize that your welfare and empowerment is the primary concern. • I support the tradition of the Tarot as an enduring source of practical guidance, spiritual insight, and a path of self-knowledge. • I respect all clients, regardless of place of origin, race, religion, gender, age or sexual preference. • I treat as confidential all personal information. I will never share your information unless there is a threat of danger or harm to you or another. • I will communicate accurately the terms by which services are offered (i.e. qualifications, availability, confidentiality, fees, cancellation policy, and any other significant matters) prior to the consultation. • I will inform you of the interpretive nature of the Tarot and ensure that you understand the power of your own free choice. • I am here to enhance your self-understanding; to inspire hope, courage and positive action. • You are the authority over your own life, decisions and choices. • I'm not here to judge you or criticize you. • I'm not a doctor. I'm not a lawyer. I'm not a financial planner. So please consult a licensed professional for legal, financial, medical and psychological help. 2011 M. Brown. All Rights Reserved.. Ethereal theme. Theme images by imacon. Powered by Blogger. All readings by Mary Brown aka Tarot Dactyl are for entertainment purposes only.